We will account manage and trouble shoot your application and contract processing directly with your client. This helps to improve the success rate for completed financed sales as we know the importance of keeping you and your clients well informed and motivated. The things we do that make the difference. Follow up calls and emails for processing notifications that require clarification or further information. Up to three follow up calls and emails following up the sales process and paperwork. A Contract Received Notification will be emailed to you and your client confirming receipt and completion. You and your clients will enjoy a prompt and proactive level of service as our process and follow up philosophy has been moulded by 8 years experience in I.T. Retail and I.T. Wholesale sales. Has been our motto since 1998 as we use our knowledge from the computer, publishing and finance industries to clearly communicate and simplify the application and contract process. With Credit Capable the normally problematic task of using finance will be Simple, Quick and a Effective purchasing option for you and your clients. We will not hold you or your business liable if your client defaults on their payments. We will not claw back on the payment made unless your client has cancelled their purchase with you and you have agreed to have the goods returned and payment refunded, in accordance with the Fair Trading Act. Credit Capable operate as a specialist finance broker providing finance to a network of nationwide retailers. We can process Individual, Business, Educational and Commercial purchases that require finance. * Credit Capable retailer criteria and conditions will apply | Credit Capable Limited. All Rights Reserved. Finance Brochures and Posters for your Showroom - Make sure your clients know you offer Finance with our Advertising Material. We will send you Brochure Stands with Finance Brochures that will be branded with your Company Colours, Logo and a screen shot of your Finance Landing Page. The finance guide on the back will give your clients a good general guide to their repayments. We will contact you to discuss your needs. Insert your details below and click submit. Delivery via courier can take up to three working days to allow for production time. Credit Capable Limited. All Rights Reserved. SUPER CHARGE your Sales with a Custom Landing Page - Take full advantage of your On Line Sales, as your clients have EMBRACED it. We have a proven system for energising on line sales by providing a Custom Finance Landing Page for retailers to link to who spend the time and effort to represent the products they sell in a well designed and regularly updated Web Site. 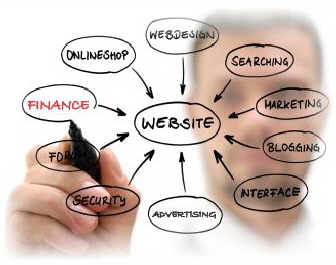 We will incorporate your Company Logo, Graphics and Company Colours into your Finance Landing Page. Images and Colours will be sampled directly from your website for your convenience. Are available up to your Registered Processing Level and will be advertised and maintained on a regular monthly cycle, taking away the undertaking of maintaining and delivering in house finance promotions. Branch, Sales Process and Promotion Selection menus combined with the Sales Persons Name deliver convenience, speed and accuracy to your sales process. Register HERE for your Custom Finance Landing Page - We will contact you to discuss your setup options.